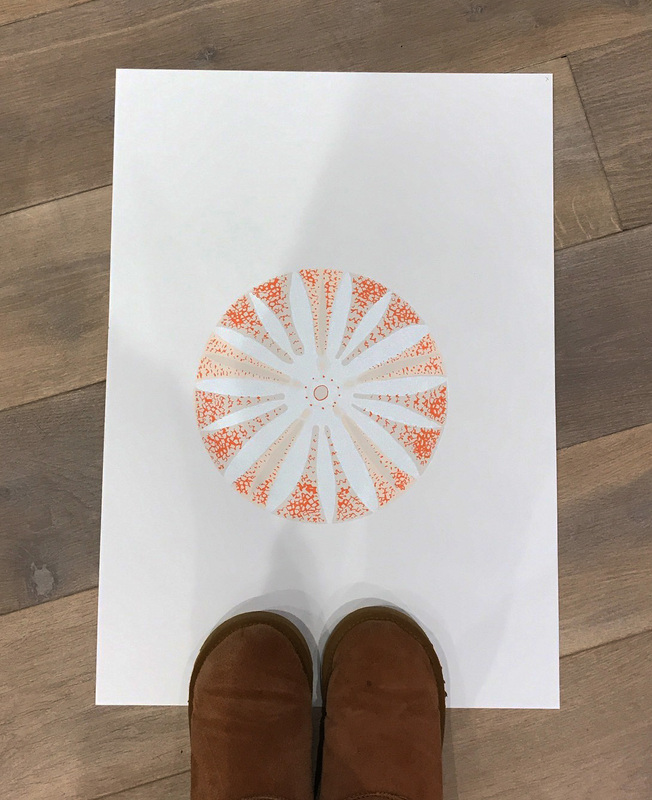 I couldn’t wait to use ‘Living Coral’ – Pantone of the year 2019 in this reworked and enlarged sea shell screenprint. ‘Living Coral’ aka Pantone 16-1546, has been named colour of the year by the renowned colour matching system. Described as “buoyant, vibrant and effervescent”, the marine tone is predicted to dominate the design industry over the next 12 months. I always getting terribly excited about the new colour predictions announced In December and look out for signs of the shade being adopted across the interiors, clothing and art world. Well this little part of Hampshire isn’t going to be left behind, so I took to the studio with Living Coral on my mind. Vibrant, yet mellow ‘Living Coral’ embraces us with warmth and nourishment to provide comfort and buoyancy in our continually shifting environment. 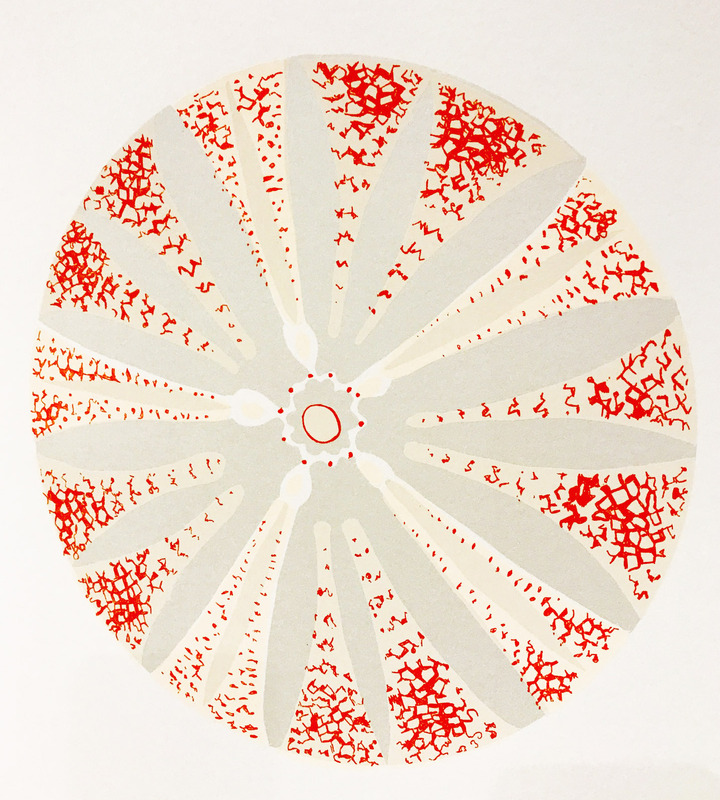 A few years ago I worked on a limited edition screen print of a shell. I had just one print left, so I decided to revisit the image but enlarge it a little more. 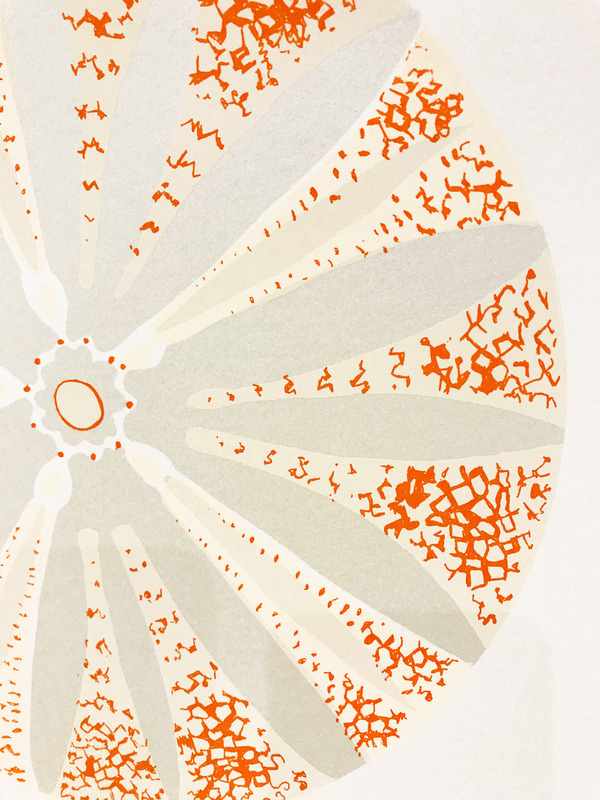 Using a combination of silver, light coral and “Living Coral’ this three colour screen print popped to life. Who will be first to get with this scheme?